Shoot on a regular with no issues. Great for the price. Used 150-200 rounds in a 2 day class. No malfunctions. Could be just me. I won't buy these again. These are decent for the range. After 50 to 100 rounds there are a few feed problems shoot M&P 40C. Not as dirty as some ammunition but there is something off with these bullets. I've ran at least 500 rounds through the M&P on two occasions and had feed problems, not jams. Also, notice accuracy adjustments. Could be just me. I won't buy these again, but I would discourage others from trying them out. Worked perfectly with my glock 23, no misfires, no FTE of FTF. Good practice round. 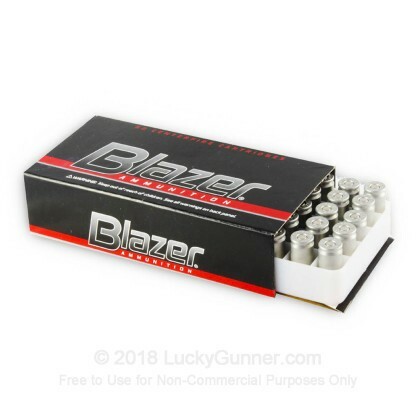 Good range ammo, great deal. This is fantastic ammo for use at the range. I've had no failure to feed or fire with my K&K USP Compact. Put 250/500 rounds through a PPQ and no issues with the ammo itself. Have used 200 rounds of Federal American Eagle 165 gr before this and these performed without any sense that the Federal are of a higher quality. Amazing deal and the 1000 rounds is an even better deal that I may just have to take up next time. Shipping was incredibly fast as well. Just fired 100 rounds wirh my Sig P250. No jams or misfires. A little inconsistent but overall good range ammo. Worked fine in my M&P 40. No mis-fires or feed problems. Great practice ammo. i just left the range and i was satisfied with the accuracy of the rounds. each one went where i wanted them to go! Believe it or not this is my first gun,ammo,range visit! I was useing a High point .40 cal. The rounds were very accurate and minimised the jams from the clip!!! i like them!! I've put several boxes of this ammo through my S&W Sigma and Glock 22. No problems at all. This has proven to be pretty good ammo. 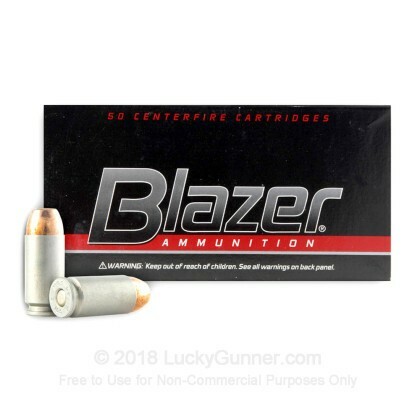 I have now put over 2,000 rounds down range and would recommend this ammo. 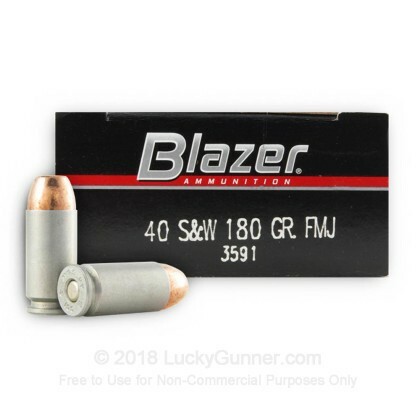 We also have this 40 S&W - 180 Grain FMJ - Blazer - 1000 Rounds ammo in stock in a bigger quantity.